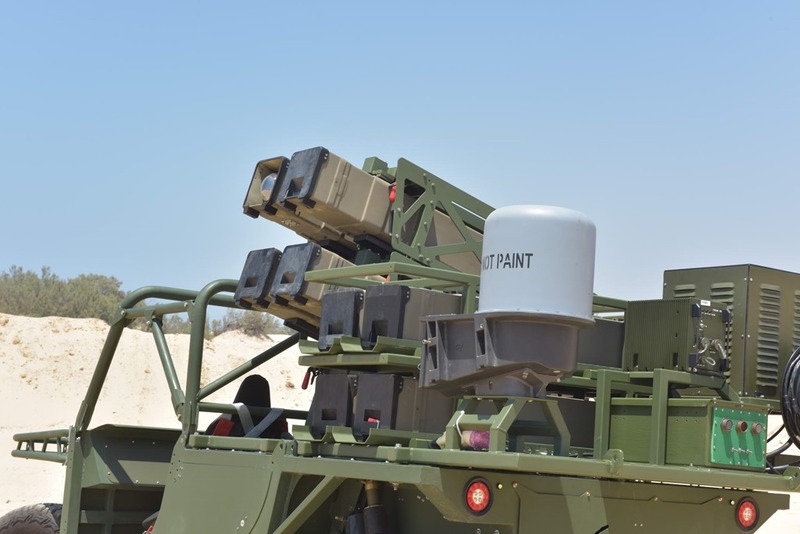 February 4, 2019 – Rafael Advanced Defense Systems Ltd. has released a video from a firing test of the SPIKE NLOS launched from a light buggy (TOMCAR). SPIKE NLOS is a 30 km Precision Guided Missile, part of the 5th generation electro-optical SPIKE Family, operational today in 31 countries worldwide. Last year, RAFAEL unveiled a light, modular launcher for the SPIKE NLOS missile, integrated on a light buggy (e.g. TOMCAR). 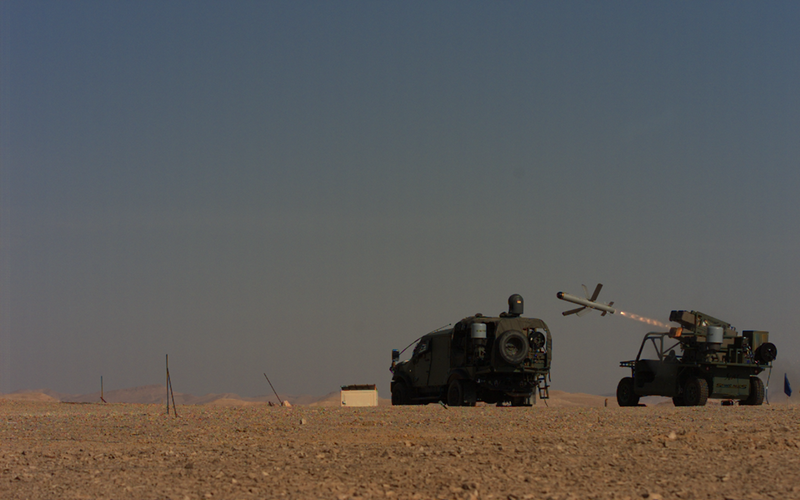 The SPIKE Launcher used in this test weighs only 1350 kg, including 8 rounds – providing armies and Special Forces with a low-weight, maneuverable, precision element that can be easily air-deployed deep into enemy territory and used to attack point targets (static & mobile) with very high precision, and with no dependence on GPS. The video, which was taken during the launcher qualification process, shows the firing of the SPIKE NLOS missile to above 25 km at various target types and various firing trajectories (both very low and very high) ‒ defined according to the mission, scenario, and target type. “This new launcher will enhance ground forces’ precise stand-off capabilities for low-signature operations in a variety of operational scenarios and requirements. Rafael continues to develop advanced, tailor-made solutions to afford forces increased maneuverability and effective fire-power to overcome battlefield challenges and achieve optimal mission results”, said Zvi M. Head of Rafael’s Tactical, Precision Weapon systems Directorate. This entry was posted in Mobility and tagged NLOS, Rafael, SPIKE. Bookmark the permalink.